GREENWOOD, Ind. -- The Suds Drive-In in Greenwood is the perfect spot for car enthusiasts to gather on warm Saturday nights in the summer. Hundreds of muscle cars and classic cars through the ages line the streets of downtown Greenwood as people wander around, scoping out their favorites that come each weekend. 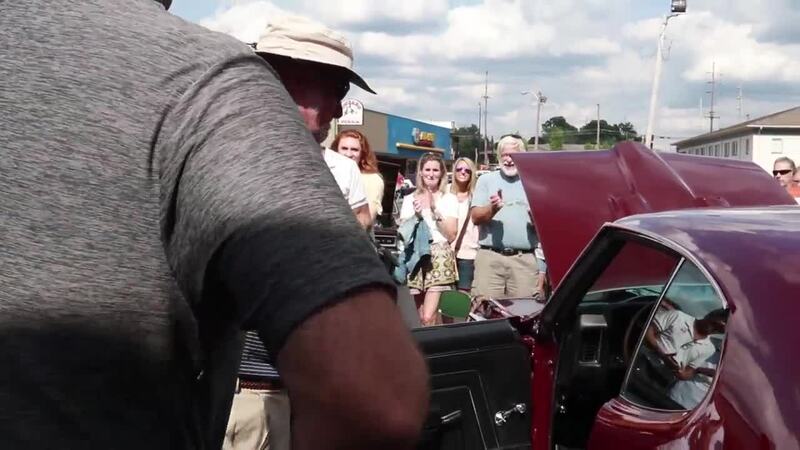 But the drive to The Suds this particular Saturday had special meaning for one local family, and also for Phil Riley of Riley Customs in Martinsville. 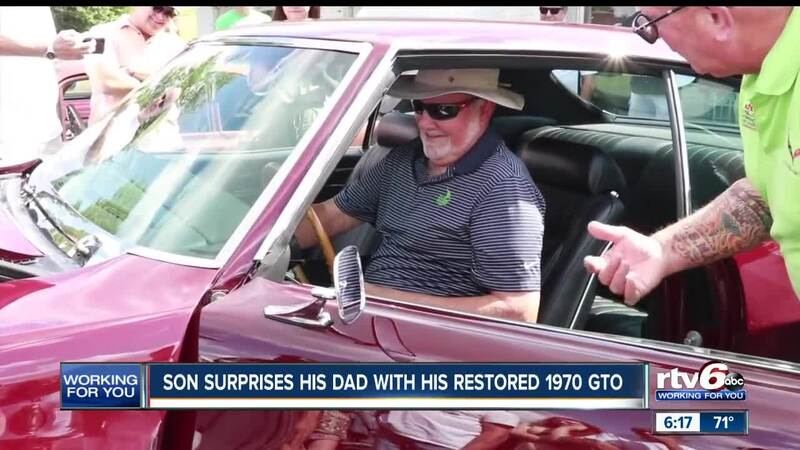 Riley had just wrapped up a nearly four-month restoration of a 1970 Pontiac GTO for a very special customer, Dave Apple, who didn't even know his old muscle car was in a shop. Apple's son, Dan Hickey, searched the web for a local company that could restore his father's GTO. The vehicle was sitting in his grandparent's old barn, sinking in the mud, and hadn't been working or running in years. "This is unbelievable," Apple said. "I got a car back that I bought in September of '69." For the full story, watch the video below, courtesy Riley Customs.